Careful With That Axe, Eugene: Leo Varadkar - My Hero! 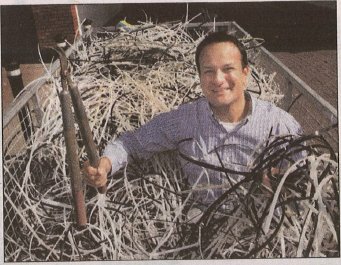 Minister Leo Varadkar has just gone up in my estimation as he has demonstrated that he is serious about removing election poster ties - the Irish Independent reports today that Varadker's team 'cuts party ties' to help FF. 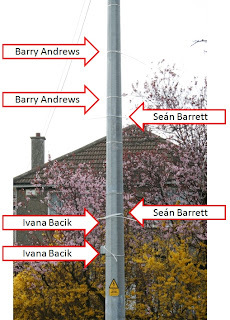 This is a topic that I have been ranting and raving about several times on this blog - most recently on 13th March last showing the lamp post across the road from the back of my garden. While it is nice to think that Leo has listened to me, neither my message nor his has reached Barry Andrews, Seán Barrett, or Ivana Bacik in the Dún Laoghaire constituency - their election poster ties still adorn said lamp post. by him and his team. At last - something might be done about this scourge?